Matt has represented individuals and businesses in all aspects of civil litigation through trial and appeal. He practices at all levels of the Massachusetts State Courts, at the United States District Court for the District of Massachusetts and the United States Court of Appeals for the First Circuit. Matt’s approach to each and every case he handles focuses on the needs of his particular client and the evaluation of the best possible means for resolution of the particular dispute at issue, be that through litigation up to and including trial, or some pre-trial method of resolution. Matt concentrates his practice on the defense of complex general, premises, product liability, recreational and professional liability matters. Matt represents developers and other construction professionals in construction and design defect claims and in the defense of construction worksite accident claims. Matt represents ski resorts and other recreational facilities, as well as nationally recognized restaurant and food service chains, in general and premises liability matters. Matt counsels and represents real estate agents, brokers and other real estate professionals in the defense of misrepresentation and other professional liability claims, as well as in general risk management matters. He also represents manufacturers and distributors in a wide variety of product liability claims. Matt represents employers, including management and executive level employees, in employment-related legal issues and professional liability matters. 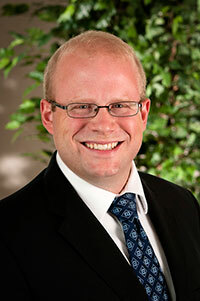 Matt also provides advice, counsel, and representation to clients on a variety of appellate issues. Matt also has experience representing individuals in personal injury actions. Following law school, Matt clerked for the Hon. Cynthia Cohen at the Massachusetts Appeals Court. When away from the office, Matt enjoys playing golf, running, and spending time with his wife and children. Matt has participated in the Middlesex District Attorney’s Domestic Violence Pro Bono Program, a partnership with the District Attorney’s Office to provide free legal assistance to domestic violence victims during the restraining order process.